Duke Cancer Institute’s Supportive Care and Survivorship center offers support services to assist families facing cancer. Programs are designed to meet the needs of the whole person, not just the cancer. High quality comprehensive cancer services are offered through the center's Duke Cancer Patient Support Program (DCPSP) and through collaborations with Duke Health and Duke University. 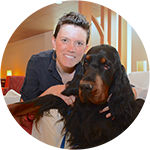 Most (DCPSP) support services, including cancer education, KidsCan!, support groups, individual and family therapy, Pets At Duke and others are offered at no cost to patients and their loved ones. However, the Duke Cancer Patient Support Program is solely dependent on the generous support of its benefactors. To learn more, visit Duke Cancer Patient Support Program. To give, go to gifts.duke.edu/cancersupport. Blue headers represent services made possible through the Duke Cancer Patient Support Program. Cancer Survivorship Clinic The Duke Cancer Survivorship Clinic offers a number of programs that help patients understand the long-term and late effects of cancer, as well as how to live a fuller life after treatment. To make a referral, please call 919.668.2122. QUIT AT DUKE Quitting smoking and other tobacco products can be so much easier when you get the support you need. At Duke we provide expert guidance, a range of treatment options and follow-up care. For more information, call 919-613-QUIT (7848). For more information on techniques to help you quit, visit our Patient Resource Center, Level 0, on the fourth Monday of every month from 2 to 3 p.m.
Cancer nutrition Our registered dietitian/nutritionists specialize in working with people with cancer. We help you prevent malnutrition, restore your digestive health, minimize the side effects related to your cancer treatment and work with you in survivorship. For more information, call 919.613.6379. Exercise Consults The Supportive Care and Survivorship Center offers free personalized exercise consultations by exercise physiologist and certified trainers. They’ll give you the tools and information you need to self-manage your physical fitness, and you can go to follow-up classes or training at the Health and Fitness Center. Drop-in to the Duke Cancer Center’s Patient Resource Center on Mondays from 2 to 4 p.m. or Wednesdays from 8:45 to 11:30 a.m. To schedule an appointment, call 919.684.6955 or email stephanie.collins@duke.edu. Physical and Occupational Therapy Our physical and occupational therapy services help you make sure physical changes don’t get in the way of living daily life. Our experts can assess and treat a broad range of issues. They also offer a lymphedema management program and falls risk assessments. To schedule an appointment, call 919.684.2445. Speech and Hearing Rehabilitation If you’ve found that your cancer treatments have affected your hearing, memory, attention span, problem-solving skills, language or ability to swallow, then help is available. Our team is here to work with you on practical therapy plans that will ensure you have the best quality of life possible. To make an appointment, call 919.684.3859. Physical Rehabilitation Duke Health and Fitness Center has a specialized program designed to help people during and after cancer treatment. Our focus on fitness, stress management and nutrition provides the tools and support needed to maintain your strength, stamina and positive outlook. Lifestyle counselors, exercise physiologists and lymphedema specialists are trained in cancer treatment and recovery. To schedule an appointment, call 919.660.6660. 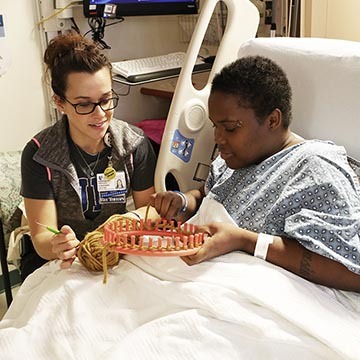 Recreation Therapy Duke recreation therapists help hospitalized patients enjoy and employ their own creativity and personal drive in their fight against cancer. Recreation therapy treatment interventions help maintaining and/or improving functioning and well-being in the physical, social, emotional and cognitive domains. For more information, call 919.681.2928 or email cancersupport@duke.edu. Tai Chi Classes Tai Chi is a holistic health practice that brings the mind and body together with slow, graceful, flowing movements performed in a meditative manner. Classes take place in the Duke Cancer Center Quiet Room on Fridays at 2 p.m. (seated) and at 3 p.m. (standing). Drop-ins welcome. For more information, email cancersupport@duke.edu or call 919.684.4497. Self-Image Support Services Self-image services address physical changes resulting from cancer treatment. Visit Journey Together for a complete listing of services. Palliative Care Duke palliative care experts help you experience relief from the pain, symptoms and stress of serious illness. No matter your age or stage of your illness, we work closely with you and your doctors to help you navigate your healthcare and understand your treatment options. Our goals are to help you gain physical, emotional and psychological strength, and ensure you and your family experience the best possible quality of life. To schedule an appointment, call 919.551.3542. Breast Reconstruction Education This is a monthly session for anyone wanting to know more about their options for breast reconstruction after mastectomy. It is a small, private session led by one of our specialist nurses and is open to anyone wanting more information on the options. This class is held on the third Tuesday of the month from 11:00am to noon in the Duke Cancer Center’s Patient Resource Center. To learn more, call 919.684.6955 or email cancersupport@duke.edu. Chemotherapy Education Our chemotherapy experts answer all of your questions and give you the information you need. Your family and friends are welcome too. Classes are offered Monday through Friday in the Duke Cancer Center’s Patient Resource Center and Monday through Wednesday at Duke Raleigh Cancer Center. Registration is not required. For more information visit DukeHealth.org calendar of events, email cancersupport@duke.edu or call 919.684.6955. Sexual Health Our sexual health services address important quality of life issues related to cancer's impact on sexual health. Research shows changes in sexual satisfaction are common after treatment. Cancer patients and survivors are eligible to participate. For more information, call 919.684.4497.